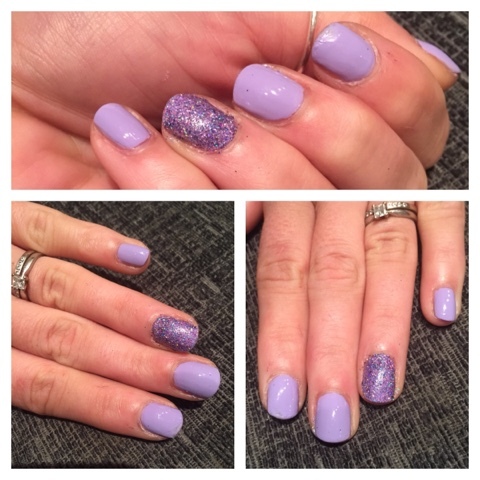 Time for a little pamper so I have decided to pin my nails in pastel purple with a hit of glitter. The polish is rimmel London wild-er-ness by Rita Ora and the glitter is by stargazer laser purple. I think it's a super cute combo ! You can get the Rimmel Polish in Superdrug or boots in store or online here. I am totally in love with rose gold at the moment, it's just beautiful. 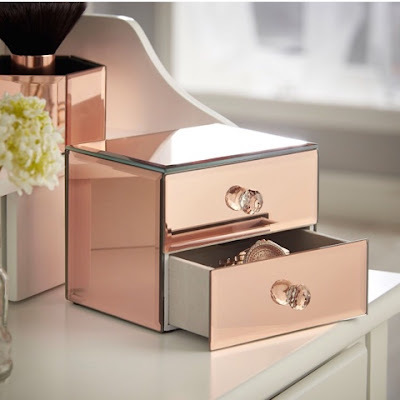 Beautify have really channelled beauty, practicality and rose gold all into 3 stunning jewellery boxes. I'm lucky enough to have two of the 3 in my bedroom standing pride of place onto of my chest of draws. The pictures really don't do them justice they really are gorgeous. 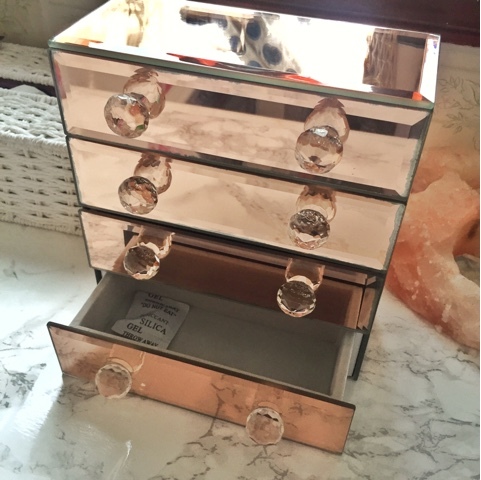 I brought the rose gold mirrored 4 draw first as I really couldn't resist it. It's currently priced at £11.99 plus postage on Amazon here. It's worth every penny and comes with a cleaning cloth so it remains shiny and new. 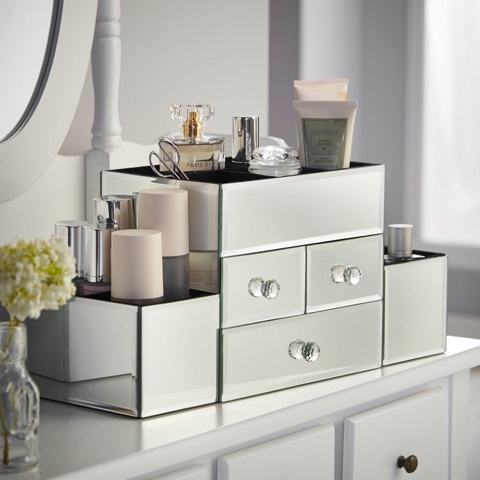 It has velvet Lined draws and crystal handles, and any woman would love to have this is a gift. It's well made and really makes a statement. They also offer a smaller version in a two draw look which is currently £7.99 plus postage on Amazon here. I am yet to own this but it's a bargain price and will finish my collection perfectly. Lastly they have the most beautiful one, Iv saved the best till last. 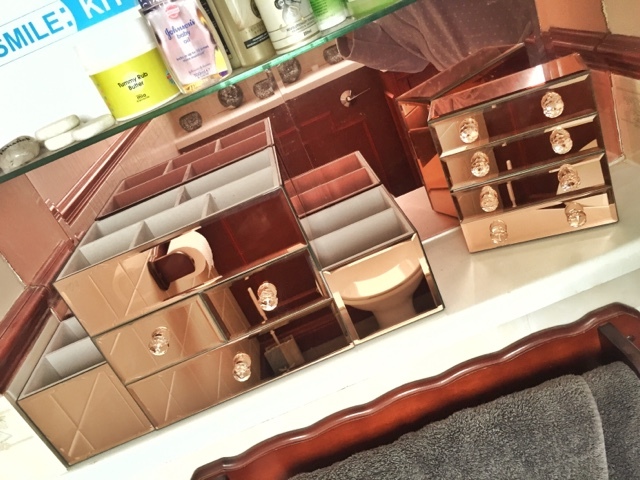 Again velvet lined, rose gold mirrored with crystal handles and a complimentary cleaning cloth. 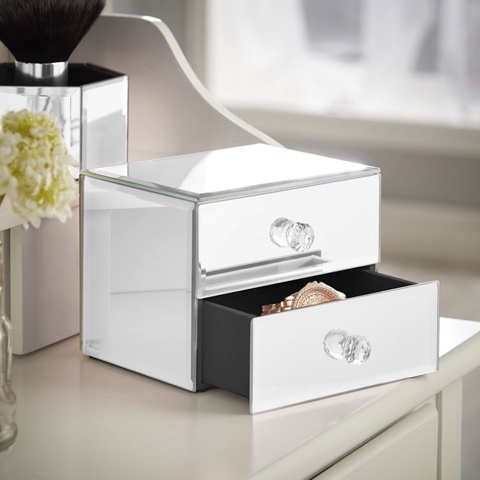 It has 3 draws and 9 storage sections which can be used for both jewellery and makeup storage. Perfect for creams, brushes and perfumes. 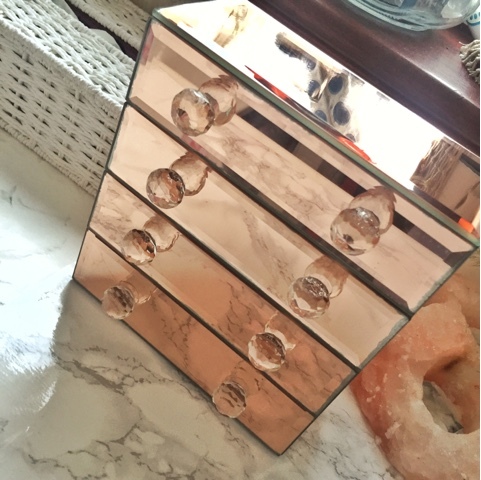 Mine holds my rose gold brushes and bottled lotions and potions. It's currently £24.99 plus postage on Amazon here. It's worth every penny and the perfect gift for the women in your life! Birthday, Christmas or just because I would be so happy to be opening this. Beautify kindly gifted me this to check out and it's too beautiful not to share. 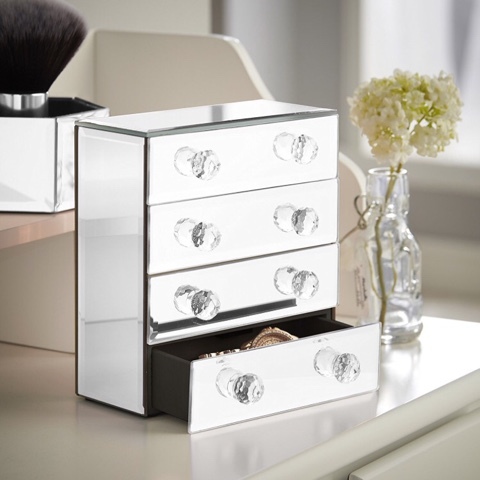 All 3 are also available in silver mirrored also which is equally gorgeous. Please do check out my beautify Christmas wish list as they have so many gorgeous pieces to offer. They come in a beautify branded box and well packaged. 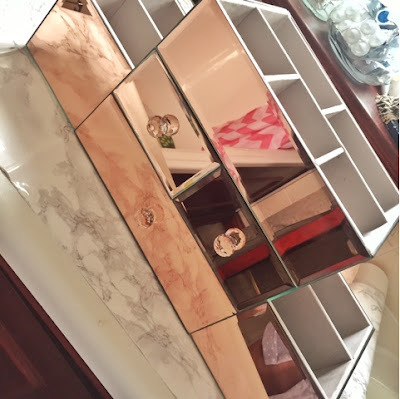 What do you think of the beautify rose gold mirrored collection?